Precision MMA Grapplers made the trip from their hometown of LaGrange, NY up to Albany for the North American Grappling Associations (NAGA) tournament. The big star of the day was little Mikey Rooney. 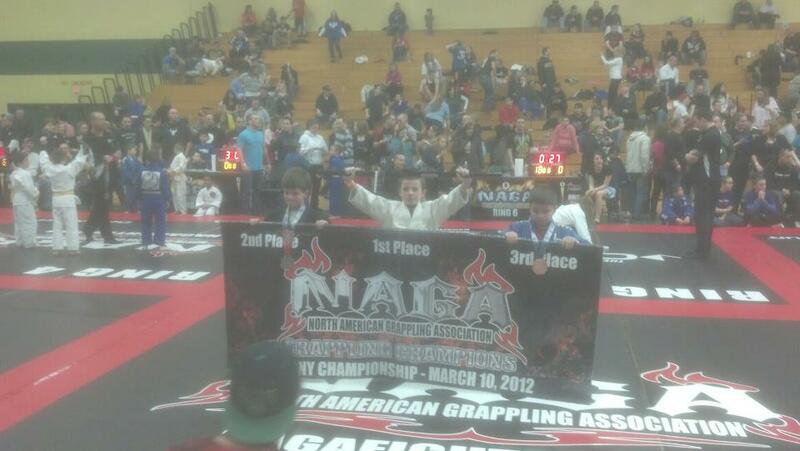 With only 18 months experience, Mikey was able to win both his intermediate divisions. Since he put on such a strong performance, the decision was made to bump his up to the Expert level – despite going up against grapplers with more than twice his experience, Mikey took home second place, even scoring a few crowd pleasing submissions along the way! 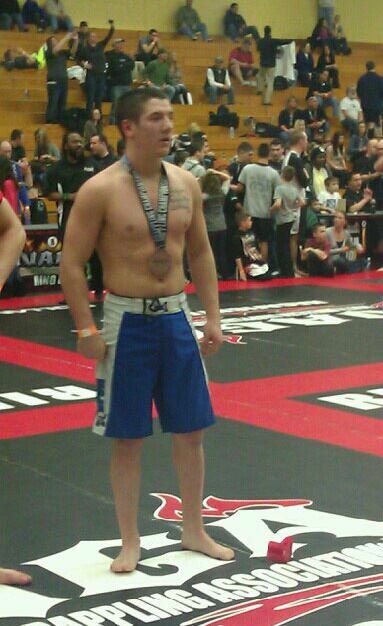 In the Adult Expert Division Jim Fitzpatrick made it to the finals after hitting jaw dropping armlocks and guillotine chokes. In a razor close match the judges awarded his opponent the victory, but “Fitz” had a strong performance looking for the submission from every angle in the toughest division of the day. Precision MMA’s Phil Gavigan took home 3rd place, showing strong wrestling and positional dominance. 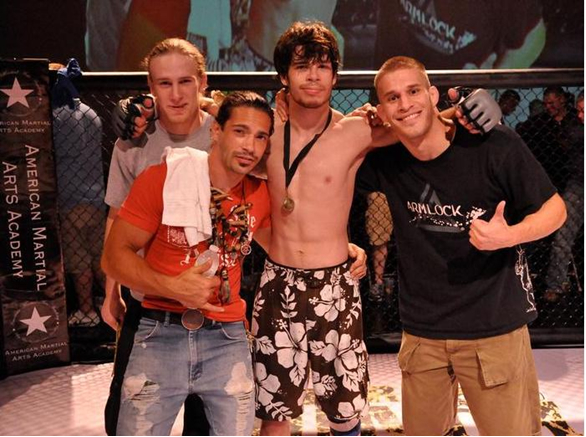 Precision students Erik Begnston and Hassan Kahn earned hardfought submission victories, but lost close matches to the division winners. Everyone showed stellar technique, tenacity and sportsmanship that Precision MMA prides itself on. The secret to Precision’s success has always been its disciplined preparation. Training in a diverse mix of Brazilian Jiu-Jitsu, Wrestling and Judo allows Precision MMA competitors to have more tools at their disposal and catch the competition off guard. Finding an MMA gym can be a difficult decision. As mixed martial arts rises in popularity more and more traditional martial arts schools are now marketing themselves as legitimate sources for mixed martial arts. Also, schools that only specialize in one area of fighting are taking the approach of “fake it ’til you make it” and posturing as complete MMA gyms when in reality they only have training in one area of MMA. So how do you separate fact from fiction and differentiate the legit schools from the frauds and fakers? 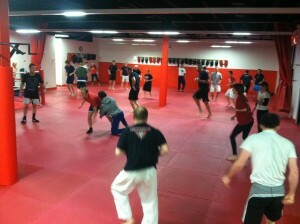 A true MMA Gym will have an even distribution of all areas of striking and grappling. The first sign that an MMA Gym is not legit is if they have grappling everyday, but only 1 or 2 striking classes (or vice versa). 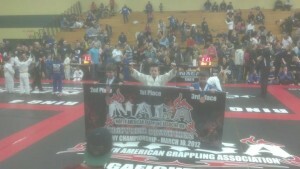 Another cause for concern is if the MMA Gym only offers one style of grappling and one style of striking. A well rounded MMA Gym will have grappling classes in Judo, Wrestling and Brazilian Jiu-Jitsu or striking classes in Karate, Boxing and Muay Thai. Don’t forget, the most important aspect of MMA is the concept of MIXING the martial arts. Unfortunately, many MMA Gym owners will simply lie about their instructor’s or student’s accomplishments. They will invent titles and fabricate stories to make themselves seem relevant. 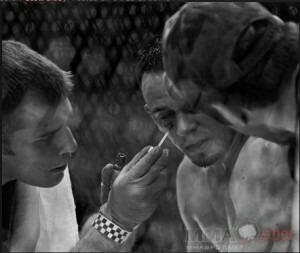 Resources such as mixedmartialarts.com have comprehensive databases that document pro and amateur MMA fights. Has the instructor gotten all his belts from the same person or have they been “belt shopping”. Find out where the instructor received their belts (if there is no black belt instructor that is a major red flag too) and email those people. If the person who gave the belt does not endorse them then you can bet there is a problem. Also, many legit MMA Gyms have “sold out” and are now selling teaching certificates to people who pay large sums of money, but have very little experience. Find out if the MMA Gym has a legitimate training history with their affiliations or if they just attended a weekend course. Testimonials from accomplished trainers, students and fighters help verify an MMA Gym legitimacy as well. A real MMA gym will allow you to try before you buy. Legitimate MMA Gyms will often times offer private 1 on 1 into sessions to share with you the history and training philosophies of the gym. If an MMA Gym isn’t willing to give you a free trial, beware! If you live in the Poughkeepsie, LaGrange or Hudson Valley region and are looking for an authentic MMA Gym then please visit Precision Mixed Martial Arts. 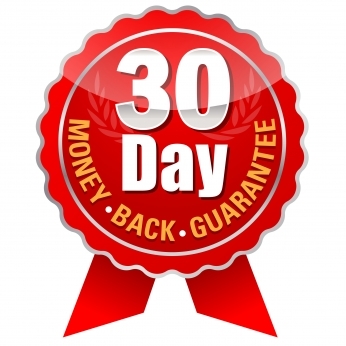 Precision MMA is now offering a 30 Day Free trial visit www.poughkeepsiemixedmartialarts.com or call 845-392-8495 to get started. What Can You Expect from Training Hudson Valley MMA at Precision? Learn to Fight Like a UFC Fighter! If you are a fan of MMA and love watching the exciting techniques of the UFC (Ultimate Fighting Championship) then Precision MMA is the place for you! We regularly bring in top level UFC Fighters for training and seminars such as Jim Miller and Charlie “The Spaniard” Brenneman. 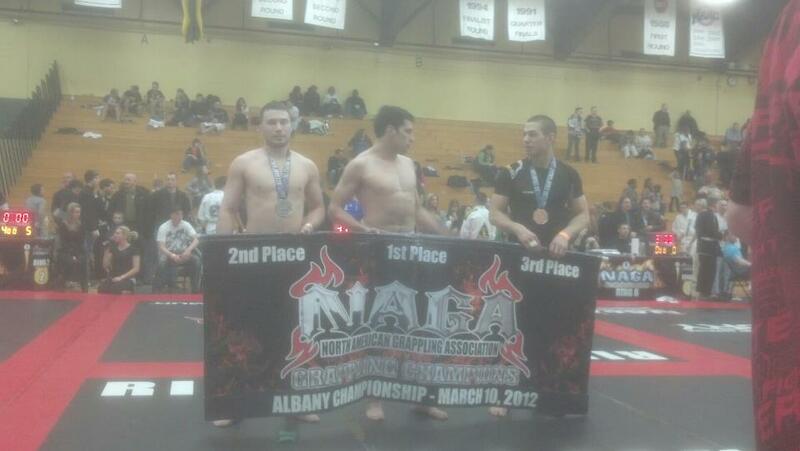 For Hudson Valley MMA no gym compares to Precision MMA. Precision MMA is the only Hudson Valley MMA gym that allows you to learn from real UFC Fighters. Head coach Brian McLaughlin is also the only Hudson Valley MMA Fighter to step inside the UFC Octagon. Brian fought his way into the Ultimate Fighter House on season 8, although he had to withdraw due to injury, he knows what it takes to perform at the highest level of the sport and now he wants to teach YOU! So what are you waiting for? Start training at the best Hudson Valley MMA Gym around! Visit www.hudsonvalley-mma.com or call 845-392-8495 and start your FREE 30 Day Trial. Here are a few of the guard submissions we’ve been working on over at Precision in LaGrange, NY (just outside Poughkeepsie). 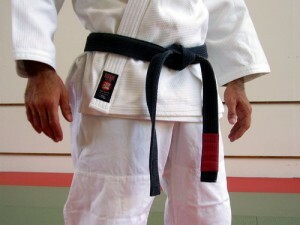 Brazilian Jiu-Jitsu is one of the only martial arts that teaches students to fight off their back. This gives Brazilian Jiu-Jitsu practitioners the chance to defend themselves even when they are being over powered by a larger attacker. By using joint locks and chokes leverage is the path to victory, rather than size or strength. At Precision MMA near Poughkeepsie, NY we emphasize solid fundamental Brazilian Jiu-Jitsu techniques coupled with realistic training. Students at Precision are well versed in the core ‘must know’ submissions of Brazilian Jiu-Jitsu and practice them daily against resisting partners to make sure they can apply the techniques when they need them the most – for self defense. While other schools focus their training on flashy moves, which may be great for winning tournaments, at Precision MMA we concentrate on techniques that will quickly and effectively allow students to defeat real world attackers. 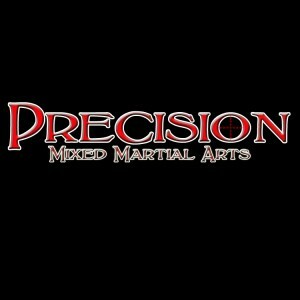 Precision MMA is now better than ever! Hudson valley residents now have a world class MMA facility at Precision MMA. 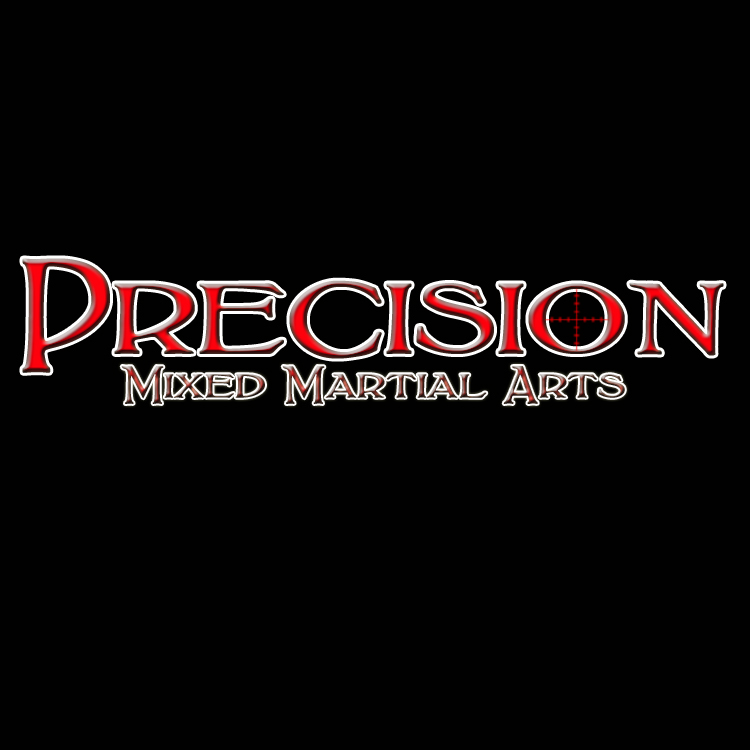 Located in LaGrange, just minutes from Poughkeepsie, Precision MMA has expanded and added to its already incredible Mixed Martial Arts program. With classes 7 days a week in Boxing, Brazilian Jiu-Jitsu, Mixed Martial Arts, Muay Thai, Judo and wrestling Precision Mixed Martial Arts has something for everyone. Precision’s world class instructors work as a team to make sure each of our members reaches their highest potential. Our staff includes golden gloves champions, division 1 wrestlers, BJJ and Judo Black Belts and MMA champions who combine for over 100 years of elite martial arts training now available for YOU in the hudson valley. In addition to having experienced coaches and a diverse program, Precision MMA is also the largest MMA gym in the Poughkeepsie area. With a full sized boxing ring, heavy bags, zebra mats, crash pads and over 5,000 square feet Precision gives its students access to a truly world class Hudson Valley facility. If you live near Poughkeepsie, NY and would like to see what Precision MMA can offer you, then give our incredible 30 Day Free trial a try, call 845-392-8495 or visit www.poughkeepsiemixedmartialarts.com and get started today.